Down Syndrome Day 2012 will be celebrated for the first time at the United Nations in New York due to resolution officially designating 3/21 as World Down Syndrome Day. In 2009 it was celebrated with the 50th anniversary of the discovery of the genetic cause of Down syndrome by Dr. Jerome Lejeune. When a newborn is diagnosed with Down syndrome, parents may be told about the challenges the baby and family may encounter months or years later, when they deserve more than anyone just to bask in the glow of their baby´s first days and weeks. Babies with Down syndrome who grow up with friends with similar interests or geography often have more in common with their family and mainstream peers than they do with other chromosomally enhanced children and teens. Children with developmental disabilities and physical challenges have shown that they can perform beautifully and express themselves through dance and theater wherever they have opportunities to show their talents and develop their skills. 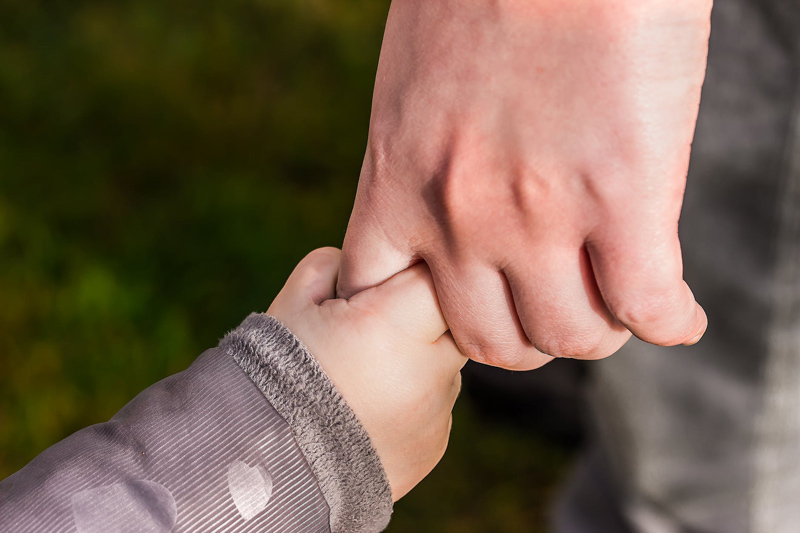 Information, support and encouragement should be available to adoptive and foster parents equally with birth parents who are raising children with disabilities. Overwhelmed adoptive parents, step-parents and foster parents who release the children in their care do not come to that decision easily. With a greater online audience for articles and interviews about the potential and accomplishments of children and teens with Down syndrome, there is also a higher incidence of negative comment and ignorant prejudice expressed that can distract us from advocacy and awareness messages. If you are a parent or a teacher expecting a student with Down syndrome in your classroom and plan to help other students to include a classmate with Down syndrome, congratulations. Classroom supports and inclusion do benefit mainstream classrooms, teachers and their schools. Si usted está dando la bienvenida a un bebé con síndrome de down en su familia, lo más probable es que tenga muchas preguntas e inquietudes, así como su familia, amigos y conocidos. There is as great diversity among parents raising children with Down syndrome as there is among individuals with Down syndrome themselves. Personalities and natural abilities or interests impact opportunities as much as parent choices. Adventures In The Mainstream is one look at transition years. Moms of babies with Down syndrome learn that the well-documented benefits of breastfeeding that have inspired new mothers for decades are especially important for their sons and daughters who may have more vulnerable immune systems, and greater challenges with motor development related to speech. Parents and extended family of babies and children who have Down syndrome will benefit from reading informative and encouraging books designed to help us understand and provide the best possible opportunities for their development, education and social connections. Babies and children with Down syndrome have a higher incidence of cataracts. Some babies with Down syndrome are born with cataracts; there is also a slightly higher incidence for individuals with Down syndrome who may acquire cataracts during childhood or adolescence. Children and teens with Down syndrome have been models in catalogs and newspaper advertisements for the past quarter century, delighting and inspiring families and communities. Children with verbal apraxia have a diverse set of speech and communication challenges that make it almost impossible for them to speak clearly without specific help with motor planning and other issues. They deserve community support, interested listeners, and alternative ways to communicate. Children with Down syndrome and their families benefit from Dr. James D. MacDonald's 'Communicating Partners' strategies that encourage late talking children as well as their mainstream peers to be more social, responsive and conversational. Computers and specific software tailored to children and teens with Down syndrome have helped them change perceptions of their potential since the early 1980s. Now, researchers are considering how they can improve designs for computer interface and access for most individuals with Down syndrome. Children and teens with Down syndrome often have a combination of issues that affect their mouths, gums and teeth. Orthodontists and other dental professionals who work with patients who have Down syndrome report positive relationships and excellent outcomes with appropriate orthodontic care. Symptoms of depression in teens and young adults with Down syndrome may be mistaken for intentional misbehavior, laziness, regression, age appropriate moodiness, and sometimes psychosis. Even close family and long-term staff may not recognize when significant changes have had a negative impact. Families of babies newly diagnosed with Down syndrome may not have access to information or encouragement until their babies enroll in early intervention services and may be on wait lists. Parent groups rely on volunteers to put together info packets or welcome baskets and make hospital visits. Only a few more children with Down syndrome develop insulin dependent diabetes than their mainstream peers. My son developed Type 1 diabetes when he was a slender seven year old, suddenly losing weight. He was diagnosed early because I read about symptoms reading about his sister's T1D classmate. Children with Down syndrome have a higher incidence of heart problems and some babies require surgery within the first year of life. Due to the great strides in surgical techniques and medical support, children's heart issues can be resolved with a quicker recovery than seems possible to families. Children with Down syndrome have been evaluated for the cervical spine disorder atlantoaxial subluxation for a quarter century. The 1996 evidence based guidelines for doctors are now expanded to refer to cranial-vertibral instability and spinal instabilities including occipito-atlanto deterioration. Children with Down syndrome may have delays or gaps in development due to strategies they find effective to avoid learning, working on or practicing skills. Professor Jennifer Wishart explains insightful research on how children with Down syndrome may sabotage themselves in teaching environments. NDSS Buddy Walks, Step Up for Down Syndrome events, and TwentyWonder in LA, all raise awareness and fund opportunities for individuals with Down syndrome of all ages, throughout the USA. Families of babies and young children can meet one another, and amazing teens and adults breaking barriers. National Down Syndrome Awareness Month is celebrated each October in the United States. Advocates also participate in World Down Syndrome Day activites each March twenty-first, chosen because of the three copies of chromosome twenty-one. Down Syndrome Buddy Walks throughout the country have been raising awareness about Down syndrome for more than fifteen years. Most occur in September or National Down Syndrome Awareness month in October. The New York City event includes a Times Square video featuring individuals with Down syndrome. This site features articles by pediatrician Dr. Len Leshin, guest articles by other professionals, DS research abstracts, information for students writing reports, and links to other information about Down syndrome. Down Syndrome Research - What's New? Down syndrome research is conducted at university and medical research centers around the USA and the world. Families, therapists, educators and medical professionals can learn about past research, current studies and how this information benefits children with Down syndrome today. Misinformation about Down syndrome has been combated by famiiles, local parent groups, national and international organizations for decades, but outdated stereotypes and even urban legends continue to raise challenges for children, teens and adults who face the condition's actual challenges. Families of children with Down syndrome and behavior issues may not understand the challenges of executive functioning difficulties. Our sons and daughters need to take the time they need to respond to requests or comments, prepare for new situations, or have other special needs accommodated. Deciding how to explain Down syndrome to young children may challenge the beliefs and expectations of adults who see more differences than similarities among children with Down syndrome and their mainstream peers. People with Down syndrome elevate the quality of life and richness of experience we enjoy in our homes, schools and communities. Families of babies and young children are especially struck by the inappropriate connotations the word 'down' has in describing babies, children or adults with DS. DownStream can ignite a lifelong passion for the sport and art of fly fishing in children, teens and young adults with Down syndrome by providing an amazing daylong event for them and their families. Models who have Down syndrome have found work in a variety of ways. Because modeling is a business, it is important to discover how to protect individuals and their families from exploitation. Advice and planning with the help of an agency advocate like DSiAM often leads to better outcomes. _Gifts 2, How People with Down Syndrome Enrich the World_ is a delightful collection of stories about ordinary individuals who happen to have been born with Trisomy 21, also known as Down's syndrome. This would be a wonderful addtion to any library, doctor's office or early intervention center. Teaching golf to children with Down syndrome and their siblings is often as enjoyable and rewarding experience for instructors as it is for the kids; every child deserves opportunities and encouragement to show their talent and potential, and to learn to love the game. When my son was a baby I did not consider what he might think about growing up with Down syndrome. He did let me know all along that he has a very different perspective on his life and diagnosis than I could have predicted. We are both so fortunate he had role models and media representation of DS. A great deal of information available in the media about Down syndrome is meant to educate new parents and the community about appropriate medical care or therapeutic and educational interventions. Families of pre-teens or teenagers may have difficulty finding appropriate information and resources. High school homecoming stories about students with Down syndrome being elected king or queen are still rare enough to be newsworthy but it is much more common than ever before that students with DS are involved in Homecoming activities as they grow up included and supported in neighborhood schools. We can be thankful to one another for the inspiration to be the mothers our children deserve and the advocates that society demands, keeping one another reaching forward for our children and reaching back to other moms and families. Intuition is credited with creating life changing and life saving programs for children with disabilities. Sometimes professional´s faith in their own intuition blinds them to their own prejudices and lead them to unexpected acts of discrimination. A question was posed recently on the DownSyndromePregnancy website - what would you tell yourself if you could travel back in time to the day of your child's diagnosis? It might be something different every time we think about our lives since; and so many new things might be added as time goes by. About 8% eight percent of families learn that their baby does not have garden variety Trisomy 21 and are diagnosed with Translocation and Mosaicism varieties. Fewer than 3% are born with the Mosaic variety, but there is ongoing research, reliable information and support available for all families. Moya Moya disease is a rare condition slightly more common in children with Down syndrome and should be considered if an individual with DS of any age shows symptoms of stroke, seizures, headache or continued loss of cognitive abilities. The Stanford Moyamoya Center has treated patients since 1991. A quarter century after children with Down syndrome and other developmental disabilities demonstrated the benefits of mainstream kindergarten for themselves and their classmates, parents are still finding obstacles to enrolling their 5 year olds in neighborhood schools with their mainstream peers. Information about Down syndrome for expectant or new parents should soon be the most reliable and up to date resources available. Individuals and advocacy or support organizations often take responsibility for making information packets available for local hospitals, doctors and counselors. The National Down Syndrome Society has established criteria to evaluate companies that develop non-invasive prenatal diagnostic tests for Down syndrome. Advocates are encouraged to contact the company currently promoting one of the first of these to be available, Sequenom. Medical professionals who have been taught that individuals with Down syndrome have a high tolerance for pain are much less likely to consider basic pain management strategies for patients in their care. Some children and teens are stoic, and others lack communication skills to express it. Families and advocacy organizations raise awareness about the potential of individuals with Down syndrome during events year-round, and especially during October or on World Down Syndrome Day March 21st. People with Down syndrome are more powerful advocates, working or just living ordinary lives. Parents of young children with Down syndrome may feel passionately about how they refer to their sons and daughters. Some advocate Person First Language and some feel that Down syndrome should be kept as a focus of their advocacy. Very few families of young children with Down syndrome choose to look into the option of plastic surgery to reduce facial characteristics in hopes that their children find better opportunities and less prejudice in school and community programs. Elective surgeries often carry risks with no benefits. Advice for women whose baby will be born with Down syndrome often comes from a perspective of misinformation and discouragement rather than celebration. If your daughter, sister, friend, coworker, neighbor or relative is expecting a baby prenatally diagnosed with Down Syndrome - how can you help? Raising awareness about Down syndrome can be as simple as pointing out the diversity with the population of babies, children and adults with Down syndrome; we already know that the potential of any individual can be enhanced by appreciation, affirmation, and opportunities. Some children with Down syndrome have sensory issues or are especially troubled by shoes that have not been properly fitted and will kick them off at the worst possible times. Custom orthotics that fit in shoes half a size larger often help children and teens with balance and gait anomalies. For individuals with a developmental disability, texting or social media offer opportunities to connect, communicate and participate without a diagnosis getting in the way. But it can be as difficult to 'read between the lines' in texts, phone calls and status updates as understanding in person. When reading powerful testimony of a father's love found in E.R. Doc Paul Austin's excerpt from SOMETHING FOR THE PAIN, it may take a second reading to learn something from his honesty. Comments at the Bloom site could result in a much greater outcome than drawing more lines between US and THEM. People in public who stare at children with Down syndrome without smiling or greeting them can make parents uncomfortable or angry. When my son was younger, I decided to approach strangers who stopped to watch him, and discovered that there are many stories out there in the world I do not know. Teenagers and children in transition to adolescence who are growing up with Down syndrome often face the same challenges as their mainstream peers, and may also experience additional struggles that are just as important to evaluate and understand. Reliable resources are available for families. Some parents and disability advocates characterize a television segment about Sequenom's MaterniT21 PLUS test for Down syndrome as an advertisement promoting negative stereotypes and misinformation. They say it was insensitive in tone, language and attitude, and lacking real parent representation. When my son was born with Down syndrome, I could not imagine his kindergarten year in a mainstream classroom, with friends and birthday parties, learning to read and write, or sharing his thoughts during story time. I thank all the moms looking forward, who are always reaching back to help others. Children with Down syndrome have a higher incidence of thyroid problems that can have adverse effects on their health, development and emotional wellness. Television actors with Down syndrome have played many TV roles, including Jason Kingsley - The Fall Guy in 1984 and Chris Burke - Life Goes On 1989 - 1993; now, Luke Zimmerman - The Secret Life of the American Teenager; also Andrea Friedman, Brad Silverman, Louise Brown, Blair Williamson and others. Twins bring many unique and wonderful experiences to their families as well as greater responsibilities for care as newborns and in early childhood. Some face greater challenges due to genetic anomalies like Down syndrome, or prematurity, traumatic birth, or other issues related to multiple births. The wonderful essay written by Emily Perl Kingsley has been included in many wonderful anthologies and is often included in New Parent Packets for parents and professionals sharing a newborn or prenatal diagnosis of Down syndrome. Many believe that it is as relevant today as the day it was written. If you have a beautiful new baby in your family diagnosed with Down syndrome, you may have questions and concerns about to find the best possible support and encouragement available for a wonderful quality of life, richness of experience, and opportunities to reach his or her full potential. I became sensitive to certain words and phrases when my son was born and diagnosed with Down syndrome. I am grateful that his pediatrician developed his own awareness without my intervention. A good doctor can learn from every new patient. Some average doctors may overwhelm by their own ignorance.